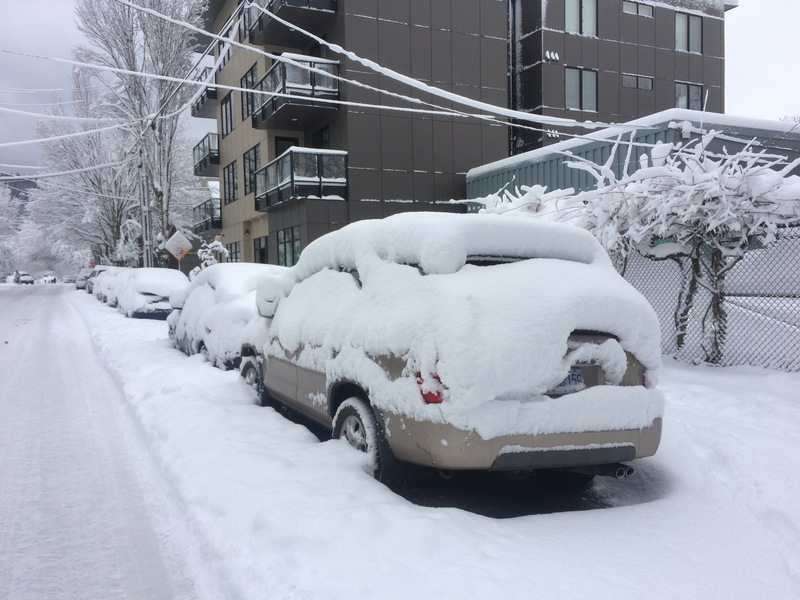 It snowed a historic amount in Portland- 12 inches of fluffy, white snow (on 1/11/17). The snow took out our power for a few early morning hours while we slept. And since we have only electric heat, we were glad when the power came back around 9:00am. We bundled up as much as we could. I left all our snow gear packed up in boxes in Iowa. Ryan found a cracked sled by our apartments trash cans. We got a little more use out of it before leaving it back by the same trash cans. We have been through quite a few snow storms but in the Midwest life doesn’t stop. The Midwest is prepared for the snow with salt, plows and shovels. Portland is not prepared. We headed out on a snowy walk to find unplowed streets and sidewalks. Portlanders were out in the streets walking, skiing and snowshoeing. Lots of snow people made us smile. 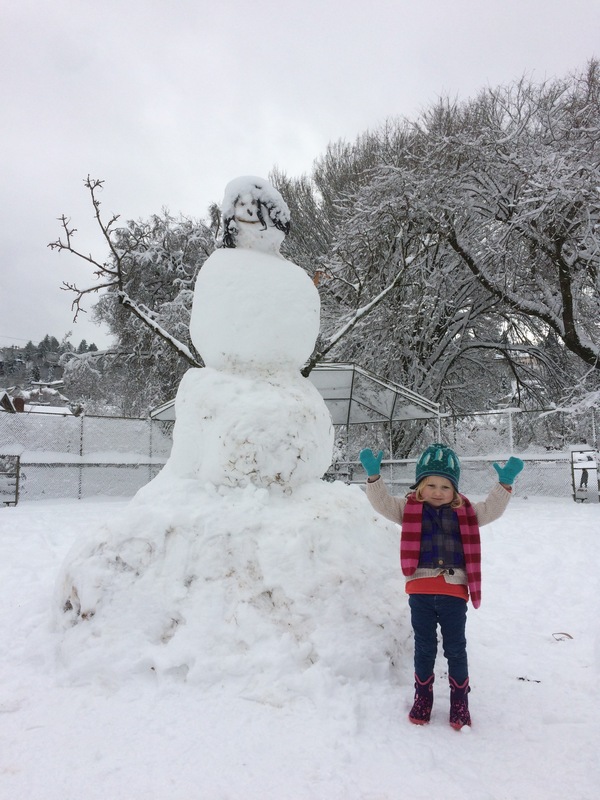 One rather large snow person built in a park wore a black wig!